The objective of this project was to create a package design enticing enough for a child to pick up. The prompt of the project addressed the child obesity epidemic that is apparent across the United States. The idea behind the package design was to create a bright and exciting appearance with an interactive, do-it-yourself twist that allows kids to eat healthy while having fun. 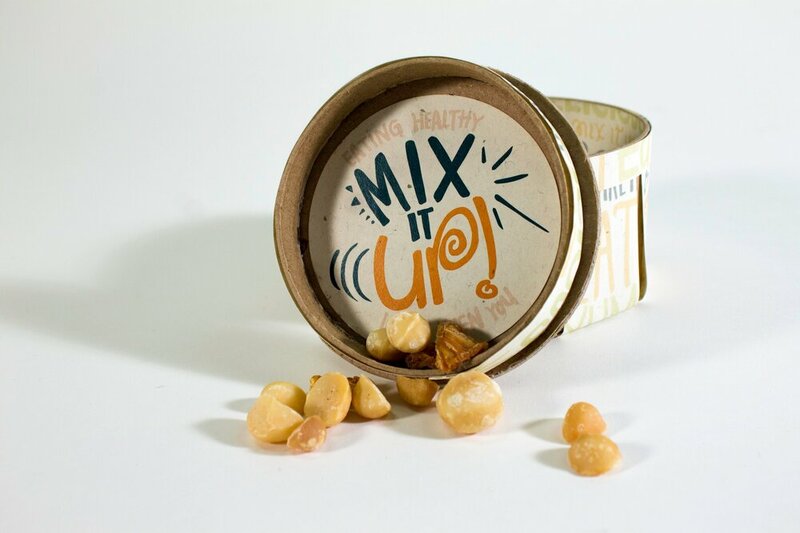 The concept of having kids mix up the ingredients once the package is opened will keep kids interested and wanting to know how the mix tastes. The handwritten text on each package is meant to appeal and relate to the fun, care-free lives that young kids should be living. The text promotes eating healthy and staying active.